This is the replacement pot for the 8 CUP VitaClay VF7900 Cooker. Please note there were two different pots that were made to fit the VitaClay VF7900. If the pot you are trying to replace is the same color throughout and does NOT meet this description, the pot will NOT fit your cooker. Please note: Lids are not available separately but a lid is included with each replacement pot. I bought 3 vitaclay inserts together,one I am going to use for yogurt,one for sprouts and one for rice.Received them undamaged. 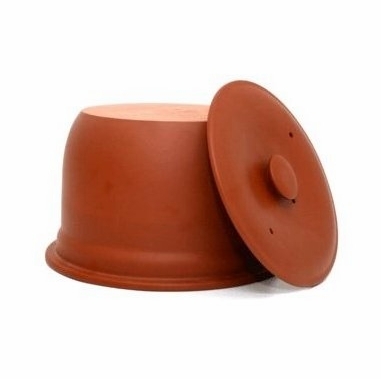 Great price for this replacement clay pot. Best slow cooker out there because you are cooking in natural clay!